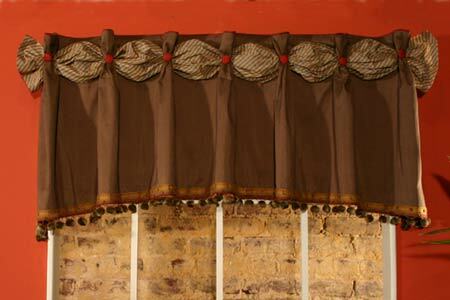 This elegant valance with sash and buttons can be adapted to fit various window widths. 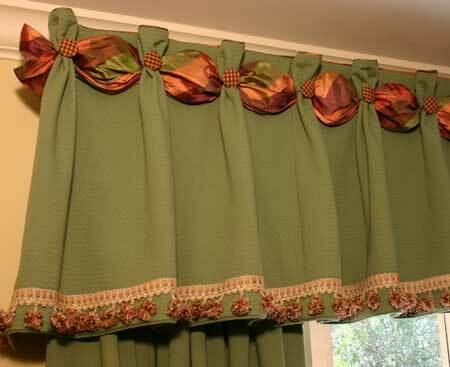 A small piping is applied to the top and bottom of the valance. 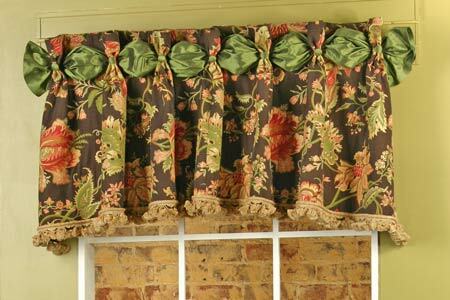 We also applied a decorative trim along the bottom of the valance. We recommend a light-weight fabric, such as silk taffeta, for the sash. Q: How do I get the patterns to make this? 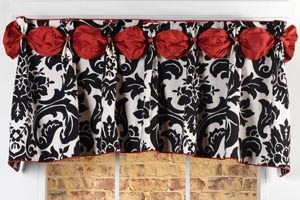 Q: this valance pattern have hidden rod pocket? Q: Is that a scarf threaded across the top?